Develop essential math skills! Power up kids' skills and confidence! 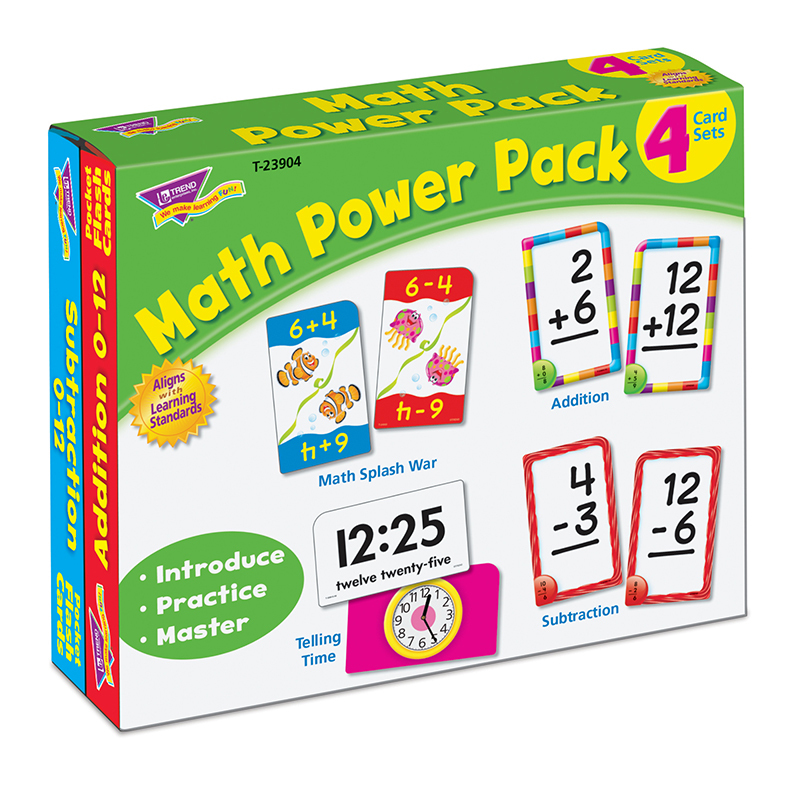 Includes Telling Time, Addition 0-12, Subtraction 0-12, and Math Splash War to energize skill practice and mastery. Self-checking flash cards feature answers on back for independent learning. Great for school, home, childcare, and travel. Durable, no-see-through cards. Quick-sorting, rounded corners. 56 two-sided cards, 3 1/8" x 5 1/4". Coordinates with Sea Buddies™ Collection.